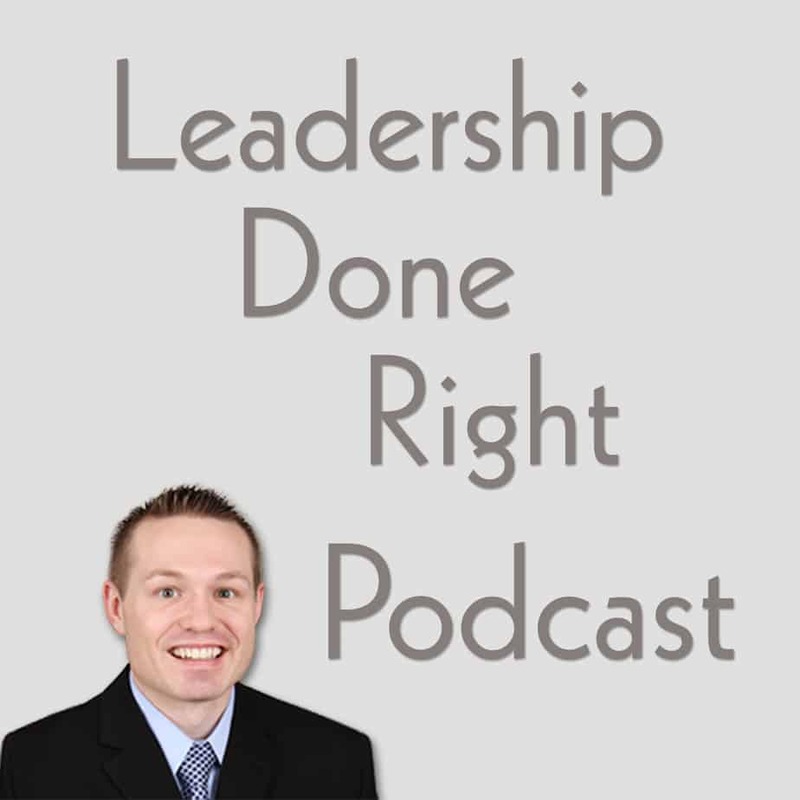 Hello, and welcome to the Leadership Done Right Podcast, Episode 54: 5 Tips To Effectively Delegate. Hi friends! As someone listening to this podcast, you are probably very driven to be successful. You want to get a lot done in a short amount of time and you really want to lead others! With that mindset, you likely seek new challenges and opportunities regularly. When you have this mindset, it is easy to take on a lot. But you can’t get it all done yourself. So how do you get it done? You do that through delegation! Today, I am going to share five tips to effectively delegate. I still have some open leadership coaching sessions available. In these coaching sessions, I’ll help you accelerate your career, leadership, and life so you can become the leader you are meant to be. Delegation in leadership and management is essential to accomplish great things. Whether you are creating a new business, starting a new team, tackling a big project, developing a new process, rebuilding a team, or trying to accomplish another big goal, delegation in leadership and management is how you get it done. I really like this quote because of all the things great leaders do, they are incredibly good at delegation. So How Can You Use Delegation In leadership And Management? Turning all your responsibilities over to others without any planning or preparation is not an effective to delegation. Instead, follow the five tips outlined below for effective delegation in leadership and management. Every leader has their own strengths and weaknesses. To use delegation in leadership and management effectively, identify your strengths to leverage them for the biggest benefit. If you don’t already know your strengths, use a strengths assessment tool. My favorite strengths finder tool is StrengthsFinder 2.0 by Tom Rath. Once you know your strengths, do everything you can to work within your core strengths. Everything that is outside your core strengths can be delegated to someone else. Great coaches know how to best use the strengths of each team player for the best of the team. For example, on a football team, the biggest and strongest players are usually the offensive and defensive linemen. The running backs are usually the fastest and have the ability to sneak between and around others to shoot the gaps. Quarterbacks usually have the best throwing ability and view of the field. Great coaches see each person’s skills and abilities and leverage them for the best of the whole team. Delegate to the strengths of those they lead. Observe their habits and actions in a variety of circumstances to find their strengths. Also, learn their skills and potential so you can delegate to them to get the best from them. Have you ever received instructions from others and then a few moments later, you realize you have many questions and don’t know how to execute their request? That usually happens because they didn’t give you clear enough instructions to do what they asked you to do. When you delegate tasks or responsibilities, be very clear in what you expect. Identify exactly how and what you want others to do. Clearly identify the expected outcome. And, take all other necessary steps to make sure they know what is required to get the job done in the right way. When assigning tasks to others, trust them to do a great job. Show confidence in them verbally and through your actions. Be sure to verify their work, however, and follow up on their progress. For example, I often let people know I will follow-up with them and verify their work. Not because I don’t trust them, but because I want to make sure everything is on course as planned and scheduled. Often it is easier to do something yourself than it is to train someone else and have them do it. If, however, you do that with every task, you end up doing everything. At that point, why do you even have people working for you? Instead, let go! Be willing to give responsibilities to others to take things off your plate. It alleviates stress from you and helps them learn and grow. Often it is really hard to let go, but it is essential that you let go of some things so others can learn and grow and you can focus on what can only be done by you. Now, that concludes the five tips to effectively delegate. So let’s do a quick recap. So what’s next? I regularly look at this list and those that I lead. I then look at what I can do to effectively implement these tips in my daily and weekly leadership in each situation. I strongly recommend that you use delegation in leadership and management by doing everything you can to put them into practice. As you do that, you will learn how each point can be best implemented for your situation. As you begin using these tips, I would love to hear how it is going for you! Please share the lessons you are learning in comments section on the show notes page so others in the Leadership Done Right community can benefit as well. Well, thank you for listening to this episode of the Leadership Done Right podcast. You can check out the show notes at LeadershipDoneRight.com/PodcastEpisode54. I will include information an outline of this episode and all the topics discussed.